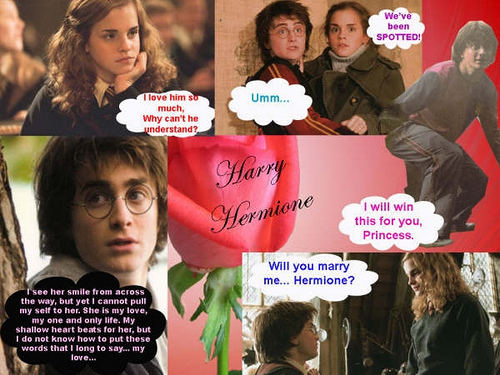 cute harry and hermione pics. . Wallpaper and background images in the Harry et Hermione club tagged: hermione harry comics. This Harry et Hermione fan art might contain gazeti, karatasi, magazine, tabloid, rag, jarida, tabloidi, limemalizwa, ishara, bango, maandishi, ubao, matini, ubao wa chokaa, anime, comic kitabu, manga, cartoon, and mkono.